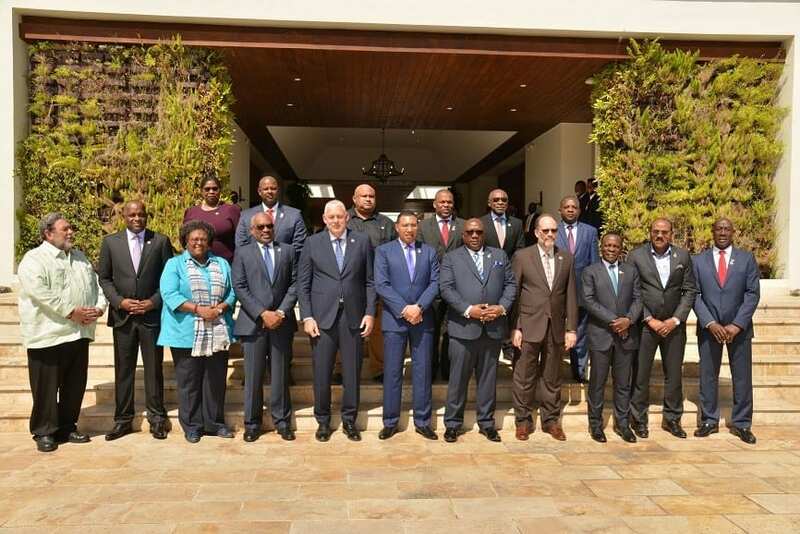 The Thirtieth Intersessional Meeting of the Conference of Heads of Government of the Caribbean Community (CARICOM) was held at Frigate Bay, St Kitts and Nevis 26-27, February 2019. Prime Minister of St Kitts and Nevis, Dr the Honourable Timothy Harris, chaired the proceedings. Other Members of the Conference in attendance were: Prime Minister of Antigua and Barbuda, Honourable Gaston Browne; Prime Minister of The Bahamas, Honourable Dr. Hubert Minnis; Prime Minister of Barbados, Honourable Mia Mottley; Prime Minister of Dominica, Honourable Roosevelt Skerritt; Prime Minister of Grenada, Dr. the Rt. Honourable Keith Mitchell; Prime Minister of Jamaica, the Most Honourable Andrew Holness; Prime Minister of Saint Lucia, Honourable Allen Chastanet; Prime Minister of St. Vincent and the Grenadines, Dr. the Honourable Ralph Gonsalves; and Prime Minister of Trinidad and Tobago, Dr. the Honourable Keith Rowley. Belize was represented by the Attorney General Honourable Michael Peyrefritte; Guyana was represented by His Excellency Second Vice President and Minister of Foreign Affairs, Carl Greenidge; Haiti was represented by Foreign Minister, Honourable Bocchit Edmond; and Suriname was represented by Minister of Foreign Affairs, Honourable Yidiz Pollack-Beighle. 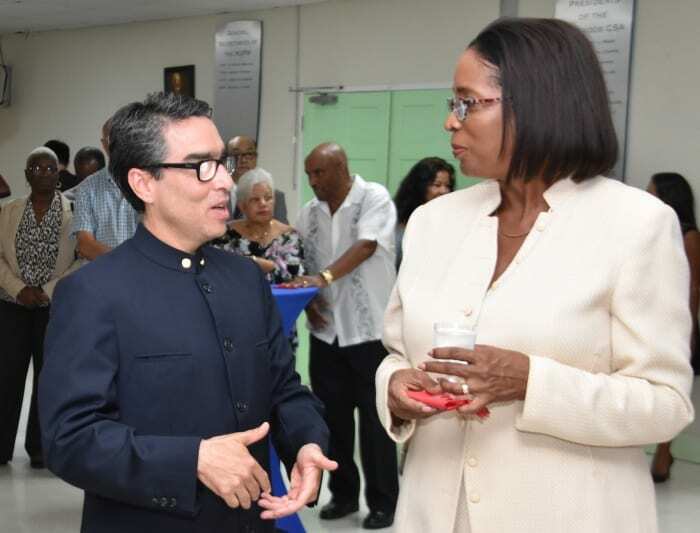 Associate Members in attendance were: Bermuda represented by Deputy Premier and Minister of Home Affairs, Honourable Walter Roban; and the Turks and Caicos Islands, represented by Deputy Premier, Honourable Sean Astwood. Chairman of Conference Prime Minister of St Kitts and Nevis, Dr the Honourable Timothy Harris, immediate past Chairman, Prime Minister of Jamaica, the Most Honourable Andrew Holness and Secretary-General of the Community, Ambassador Irwin LaRocque addressed the opening session. The themes of the statements reflected: the need to advance the progress already achieved with regard to the CARICOM Single Market and Economy (CSME); closer regional unity in order to respond strategically and decisively to a changing global environment; as well as the Community’s concerns with respect to blacklisting and the situation in Venezuela. Heads of Government met in Special Session on Transportation in keeping with their quest to deliver adequate, fair, competitive, efficient transportation services at affordable costs. 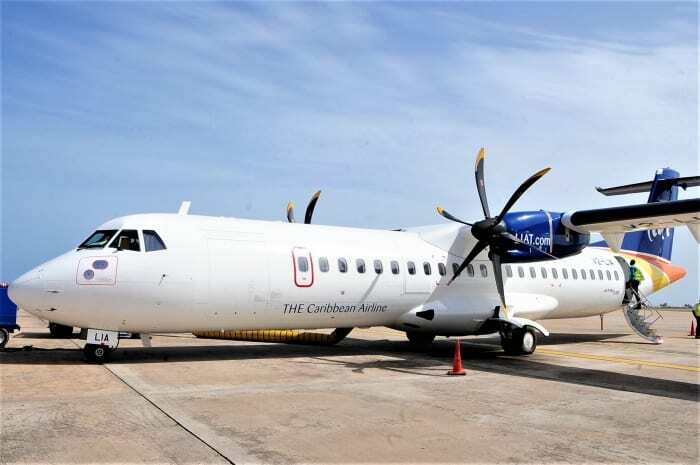 Heads of Government recalled that the Multi-lateral Air Services Agreement (MASA) had been opened for signature in February 2018 and acknowledged the assent by all Member States to the MASA would give effect to the Community becoming a liberalised environment for CARICOM air carriers. In that regard they urged those Member States which had not done so, to sign and ratify the Agreement. Nine(9) countries have now signed the MASA allowing for provisional application. Heads of Government agreed that Member States should undertake a review of their domestic taxes and other charges related to the air transportation sector, with a view to simplifying and streamlining the relevant tax structures and eliminating taxes which have a negative effect on the demand for and provision of air transportation services. With respect to maritime travel, Heads of Government agreed to establish a joint private and public sector team to review the findings and recommendations of reports on a regional ferry service. The team has been requested to provide preliminary estimates for the implementation of a ferry services following discussions and negotiations with prospective ferry operators. Heads of Government also agreed that the Directors of Maritime Affairs of each Member State should meet regularly with the intention of coordinating and presenting a holistic approach to addressing the maritime safety and security issues of the Community. Heads of Government further agreed to restructure the Regional Transportation Commission (RTRC) and its programmes to enable greater efficiency. 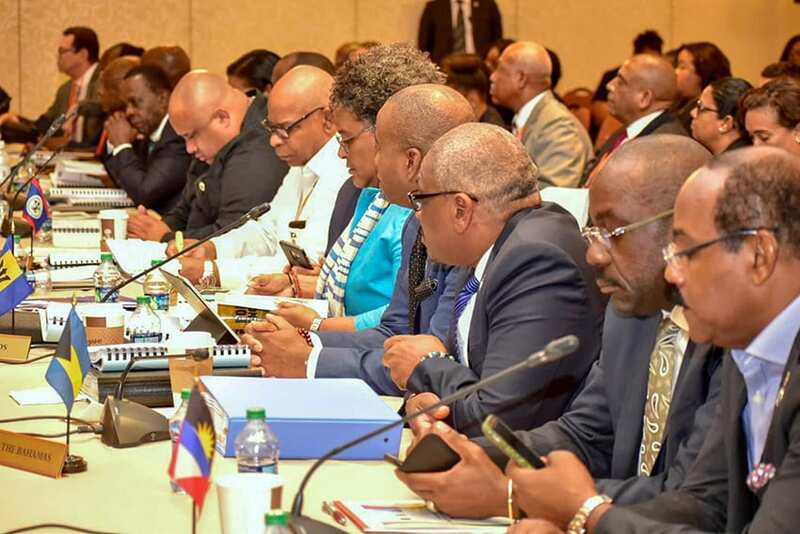 Heads of Government reviewed progress on decisions taken at the Eighteenth Special Meeting, of the Conference on the CSME. They welcomed the opening for signature of the Agreement on the Protocol for Public Procurement and noted that the Protocol can be provisionally applied when seven Member States have signed a declaration of intent while recognizing that for entry into force, the Protocol must be signed by all parties to the Revised Treaty. Heads of Government, in pursuit of strengthening the consultative mechanisms for engagements with the private sector, labour and civil society agreed to meet with representatives of national Business and Labour Advisory Committees (BLAC) twice every year. They emphasised that this was essential for enhanced regional decision-making, particularly in the context of the CSME. Heads of Government reiterated the critical importance to the Region of the national and regional security architectures in combatting crime and violence, transnational crime and other security threats as well as for the effective functioning of the CARICOM Single Market and Economy (CSME) Free Movement Regimes. Heads of Government also welcomed the adoption and opening for signature of the Agreement on the Return and Sharing of Recovered Assets from criminal activity. 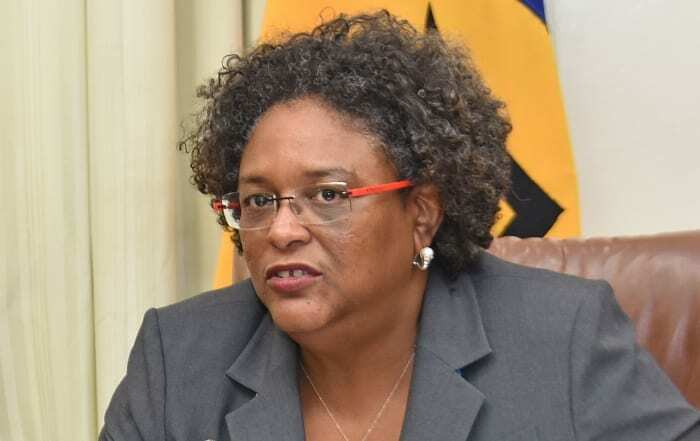 Heads of Government recognised that the blacklisting of CARICOM Member States by the European Union (EU) has wrought considerable reputational damage to the Community. Despite all Member States, with the exception of one, being removed from the EU blacklist, the damage inflicted is irreparable and has consequential implications for building Member States’ economic and climate resilience given our inherent vulnerabilities. Heads of Government emphasised the Community’s commitment to good governance and the drive to enhance Domestic Resource Mobilisation (DRM) in accordance with the United Nations (UN) Addis Ababa Action Agenda, while recognizing that small, highly vulnerable States also require access to external capital to build resilience. In this regard, Heads of Government viewed the EU’s approach to “tax good governance” as an infringement of their sovereignty, coercive and harmful to the future of a key economic sector in CARICOM without providing any empirical evidence of instances of tax avoidance. Heads of Government agreed that the Community’s strategy against blacklisting will be multi-dimensional and targeted to both the immediate protection of Member States’ sovereignty and their future relations with Europe. 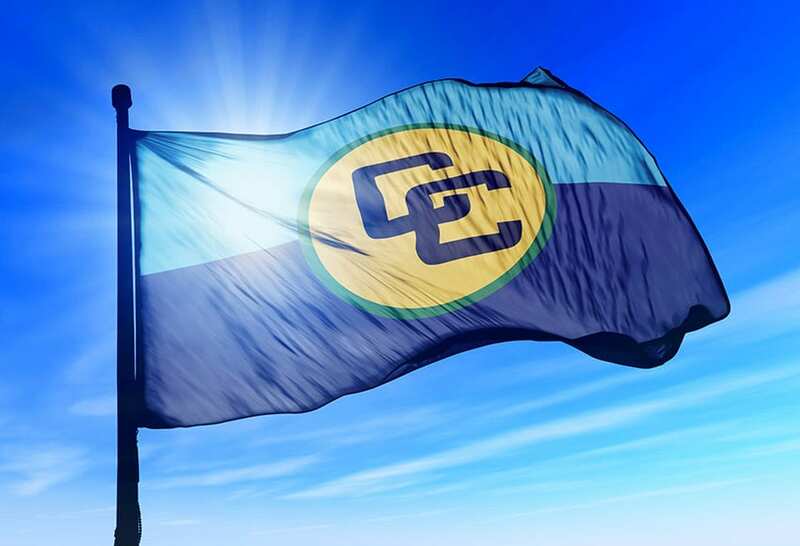 Heads of Government have accordingly requested the EU to cease the blacklisting of CARICOM States which have already made commitments to reform their tax structures in good faith. Heads of Government have proposed that the EU should adopt a more collaborative approach which would allow Member States to conduct the required impact and sensitivity analyses to determine how to further align their tax regimes with global standards for tax transparency and governance. Heads of Government noted other EU initiatives to identify countries with strategic deficiencies in their Anti Money Laundering/Countering the Financing of Terrorism (AML/CFT) frameworks as well as to monitor high-risk investor citizenship and residence schemes within the context of their visa suspension mechanism for visa-free countries. 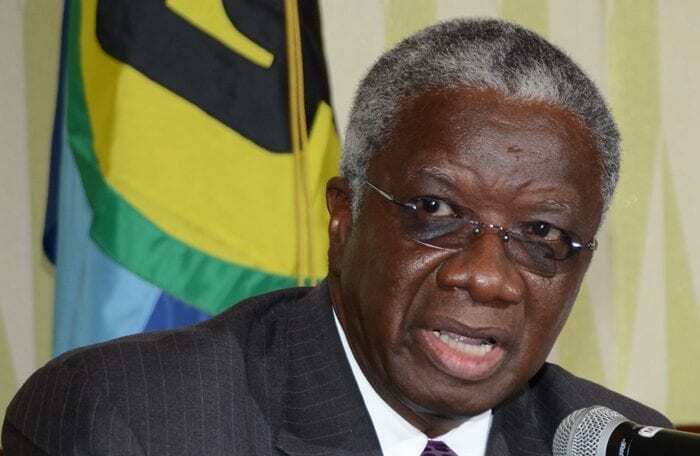 In this regard, Heads of Government welcomed the initiative of the CARICOM Committee of Central Bank Governors to convene a Biennial Caribbean Regional Conference on AML/CFT Risk Management commencing in 2019. This Conference will allow for the dissemination of information on Member States’ AML/CFT Frameworks as well as facilitate the Community’s engagement with AML/CFT stakeholders internationally. 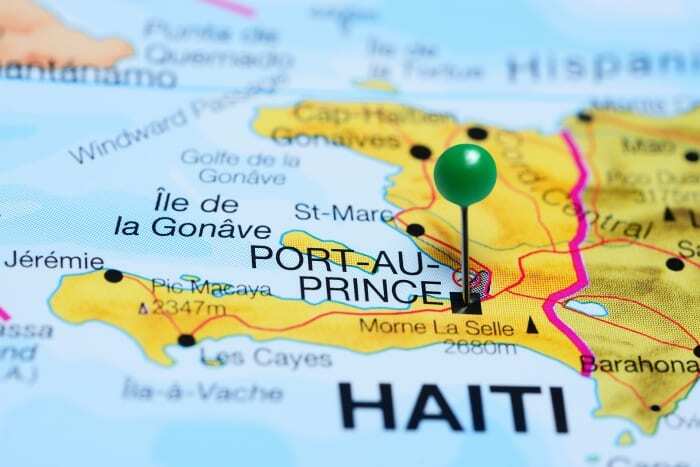 Heads of Government expressed deep concern about the situation prevailing in Haiti during the past three weeks characterized by violent protests jeopardizing the political, economic and social stability of the country. Heads of Government recognised that the violent protests violated the fundamental and inalienable rights and freedoms of a large part of the population. Heads of Government call upon all stakeholders to prioritise dialogue as a means to address peacefully and meaningfully all relevant issues and to create the conditions for lasting political stability essential to the sustainable economic and social development of Haiti. Heads of Government also encourage and support the Haitian Government in its efforts and initiatives and call on all Opposition Leaders and other stakeholders to put the national interests and the wellbeing of the Haitian People at the forefront. Heads of Government received an update on the most recent developments between Belize and Guatemala. Heads of Government recalled that in accordance with the Special Agreement to Submit Guatemala’s Claim to the International Court of Justice (ICJ), Guatemala successfully held their referendum on 15 April 2018 to submit its claim on Belize to the ICJ for a final resolution, and that Belize has scheduled the date of 10 April 2019 for its national referendum. They further welcomed an update on progress of the nationwide public education campaign, which the Government of Belize is undertaking to prepare Belizeans to make an informed decision. Heads of Government reiterated their concern that the undertaking by both countries and the Organisation of American States (OAS) to engage in the design and development of a mechanism of co-operation for the Sarstoon River remains outstanding and urged both countries and the OAS to reinvigorate their efforts to this end. They expressed support for the crucial role of the OAS in the process aimed at resolving the dispute, arising from Guatemala’s claims on Belize; and further called on the international community to continue supporting the OAS Office in the Adjacency Zone. Heads of Government re-emphasised their unwavering support for the sovereignty, territorial integrity and security of Belize. Heads of Government received an update on the most recent developments between the Co-operative Republic of Guyana and the Bolivarian Republic of Venezuela. 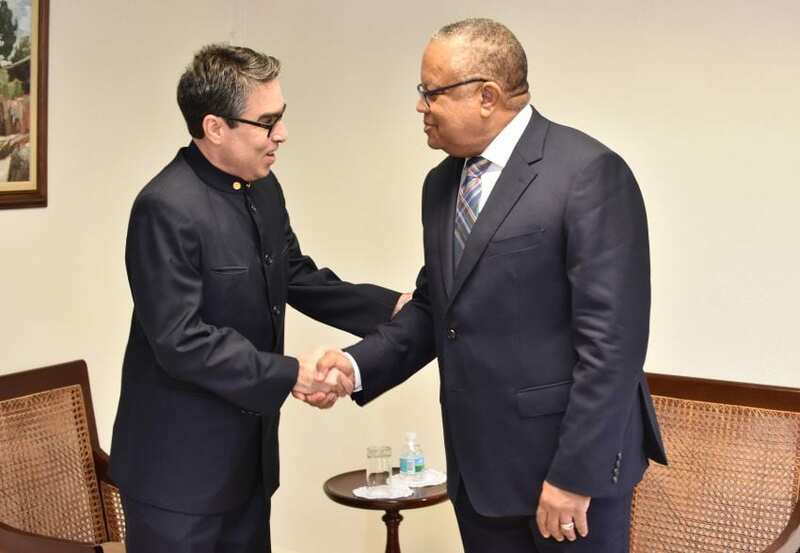 They noted that Guyana had submitted its Memorial on Jurisdiction to the International Court of Justice (ICJ) on November 19, 2018, in accordance with an Order of the Court and that the Court had established April 18, 2019 for the submission of the Counter Memorial by Venezuela. Heads of Government expressed support for the judicial process underway which was intended to bring a peaceful and definitive end to the long standing controversy and which was in accordance with the principles and purposes of the United Nations Charter and the decision of the Secretary General of the United Nations under the Geneva Agreement of 1966. Heads of Government reiterated their firm and unswerving support for the maintenance and preservation of the sovereignty and territorial integrity of Guyana. Heads of Government considered a report from the Secretary-General on the visit to three countries that have applied for Associate Membership, namely Aruba, Curaçao and Sint Maarten, in pursuance of the mandate given to him to begin the process of negotiations. Heads of Government, taking into account the existence of common areas of interest and the mutual benefit that could be derived, mandated the Secretary-General to continue negotiations with those countries, with a view to making appropriate recommendations at the next meeting of Conference. Heads of Government welcomed Her Excellency the President of Estonia and acknowledged the forging of new relations between CARICOM and Estonia based on shared interests. They agreed to continue to explore areas of cooperation in Information and Communications Technologies (ICT) and e-government. The President outlined the development of her country as a digital nation emphasising its value to economic growth and development which could be an example for small countries. Heads of Government agreed on the need for cooperation initiatives between CARICOM and the Government of Estonia in order to advance the digital development of the Community and to promote the collective approach to the CARICOM Single ICT Space and the ‘CARICOM Digital Agenda 2025’ initiative. Heads of Government discussed the situation in Venezuela and issued a statement which is attached. 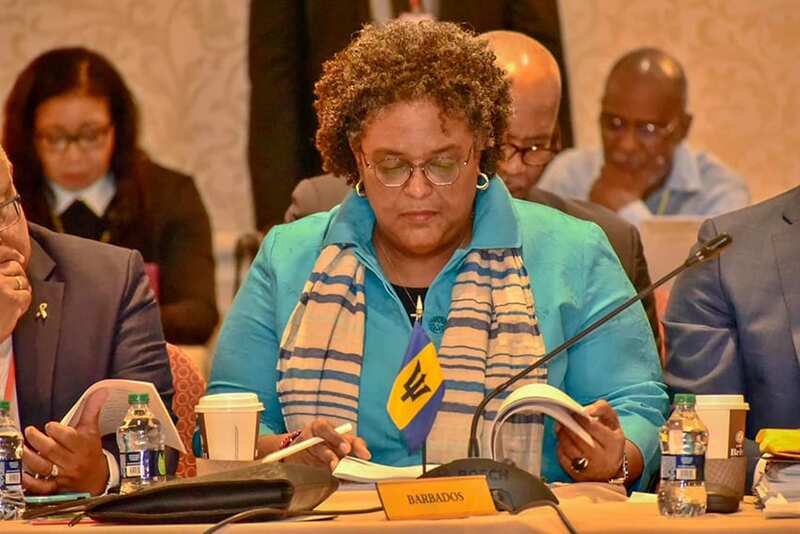 The Government of Saint Lucia indicated that the Fortieth Regular Meeting of the Conference will be held on 3-5 July 2019. Heads of Government expressed their appreciation for the gracious hospitality and excellent arrangements provided by the Government and People of St Kitts and Nevis for this meeting. 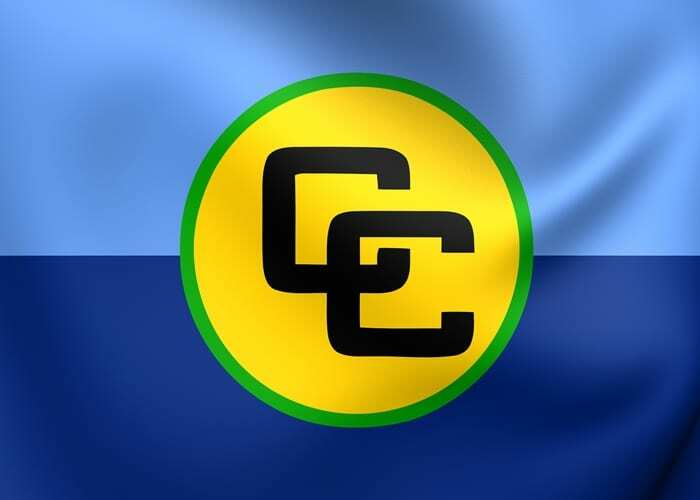 The Caribbean Community (CARICOM) is deeply concerned by the recent further escalation of tensions in the Bolivarian Republic of Venezuela and the ensuing increase in hardship and suffering of the population exacerbated by the imposition of sanctions. The people of Venezuela must be allowed to decide their own future in accordance with the principles of the United Nations Charter – non-intervention, non-interference, prohibition of the threat or use of force, respect for the rule of law, human rights and democracy. 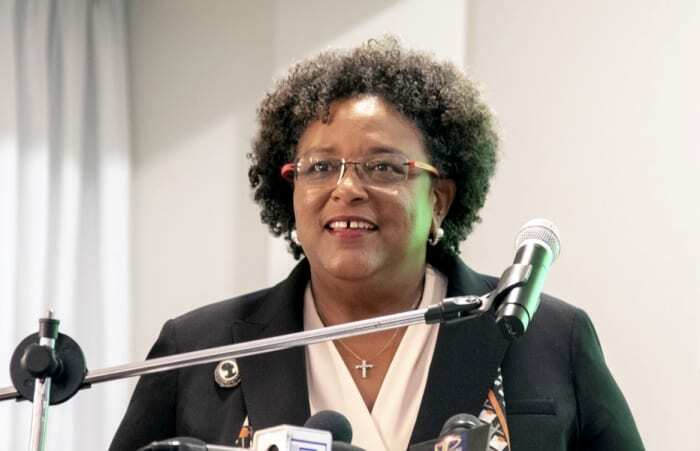 As CARICOM has ceaselessly advocated, for this objective to be attained, there has to be a meaningful and internal dialogue between the contending parties. This dialogue must determine how best the crisis can be resolved within the confines of the constitution and the rule of law, whether by referendum, elections or any other agreed mechanism. Nothing short of this will lead to the quelling of this crisis or provide the relief that all Venezuelans desire. Pending this, there must be a commitment to the delivery of humanitarian aid in a manner that is not politicised but which uses United Nations mechanisms that have been used over the years for the impartial and effective delivery of humanitarian relief.